“GoFundMe” campaigns have been started for many purposes. The Rossland Telegraph is featuring this one because it strikes close to home – a local family is struggling to continue with expensive cancer treatments, and one of their friends made an appeal to help publicize it. Judy Pommer, wife of Matt Pommer and mother of Jordan and Jessica, is fighting for her life, and her husband and children are doing all they can to help. It’s an expensive struggle; Jessica started the “GoFundMe” page, and it has brought in some of the money needed – but there’s a long way to go yet. “November 25, 2016: My mom, Judy Pommer, went to the hospital in extreme pain where surgery was performed to remove a tumor. It was diagnosed as Stage 4 Colon Cancer that had already spread to her liver with over 10 tumors in it. 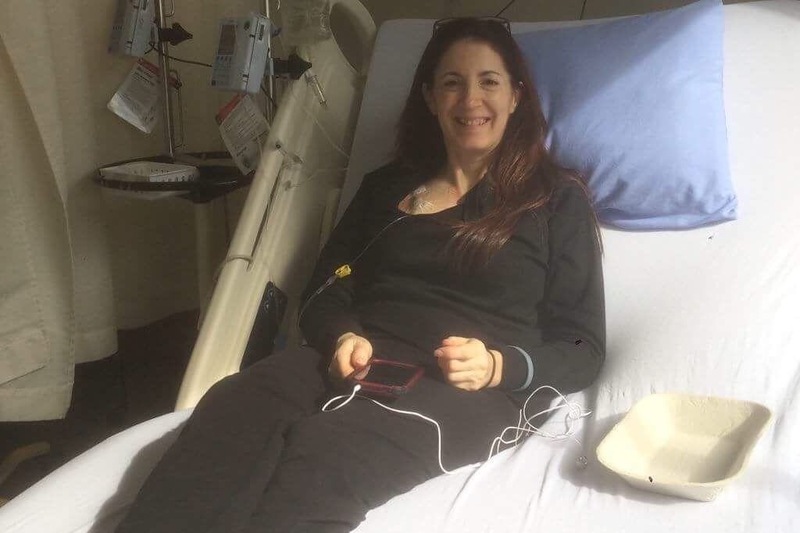 “She then went through 12 rounds of chemo locally, followed by 4 weeks, 6 days a week, of naturopathic oncology treatment at Port Moody Health Center, approximately 7 hours drive from where my parents live. “In February 2018 our family received some amazing news. The latest PET scan showed no active cancer. Unfortunately, our celebrations were short-lived as in June we received mixed news as she was still cancer free in her liver but now there were small tumors showing up in a couple areas of her pelvis. She has once again started chemo and will hopefully be heading back to Port Moody for 4 alternating weeks of more naturopathic oncology treatments. “As this will be her second round of treatments and my parents have already exhausted their resources with the first set of treatments, they need financial assistance for this round. These innovative treatments are evidence-supported therapies approved by Health Canada but they are not covered by BC Medical Services and are quite expensive. As it is out of town, it isn't just the cost of the treatments themselves that they need help with but the cost of travel, lodging etc. “My mother is only 56 years old. She has a positive attitude, strong faithand an overwhelming determination to do what ever it takes to survive, but currently isn't strong enough to take care of herself so my brother, my dad (who is self employed) and I will all be taking turns, taking time off work, traveling and staying with her so she can use all that inspiring strength she has to focus her energy on healing and beating this cancer, once and for all.